Berlin hosted its 2018 Jazz Festival from November 1 through 4. Founded in 1964 as Berliner Jazztage, Jazzfest Berlin is one of Europe’s most renowned music festivals. 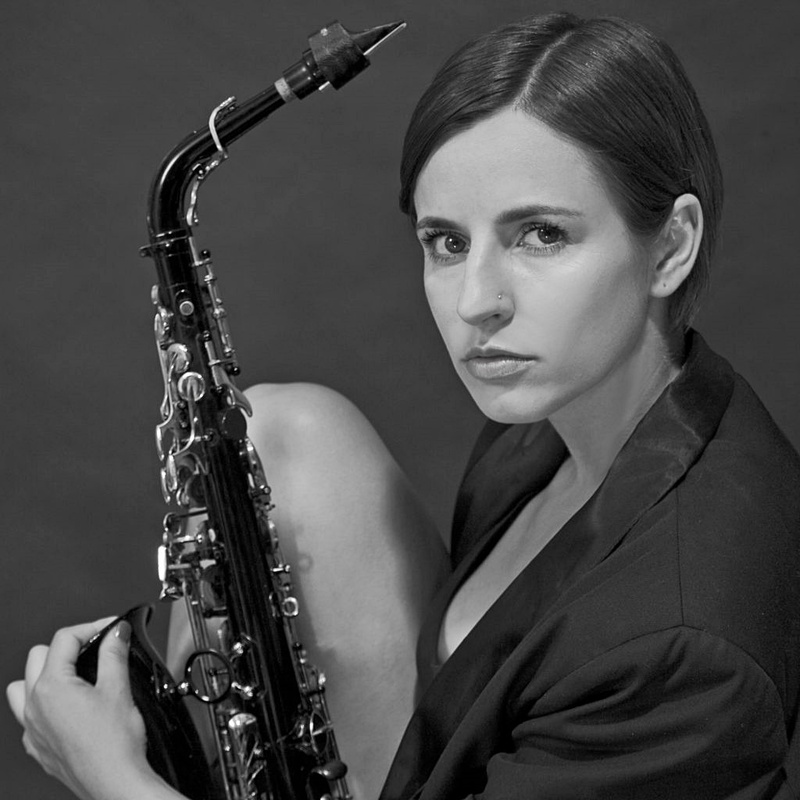 Over four days, Artistic Director Nadine Deventer orchestrated multiple concerts with sold-out performances focusing on contemporary European jazz. The main stage was Berlin’s modern theater building – the Haus der Berliner Festspiele – which seats about 1000. Other performances were held at jazz clubs, landmarks, and businesses throughout Berlin’s diverse neighborhoods. I watched two concerts, one at Kaiser Wilhelm Memorial Church and the other at the House of the Berliner Festspiele. Both featured outstanding contemporary jazz artists! Neo-romanesque Kaiser Wilhelm Memorial Church (Gedächtniskirche) is the symbolic centre of West Berlin. 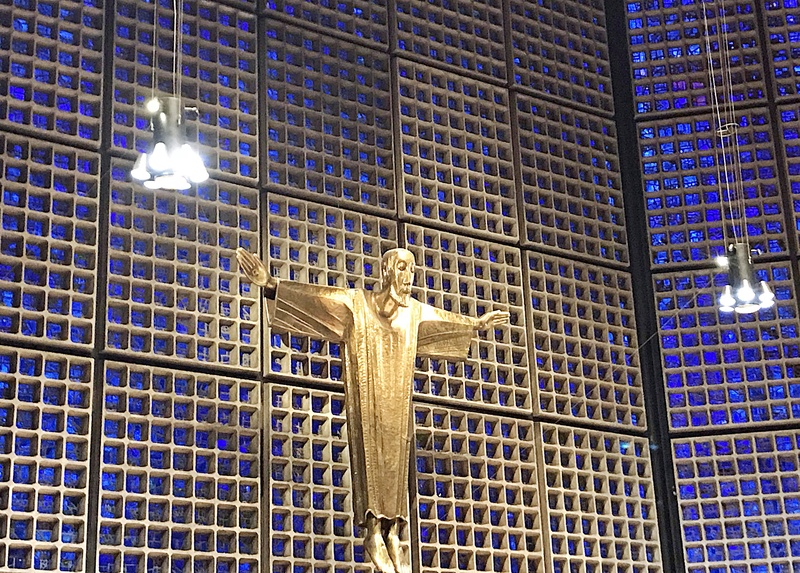 There are two buildings in the “Gedächtniskirche ensemble” – the ruins of the pre-WWII church (called the “hollow tooth”) and a beautiful new church symbolizing the “desire to build up Berlin in the post-war period”. 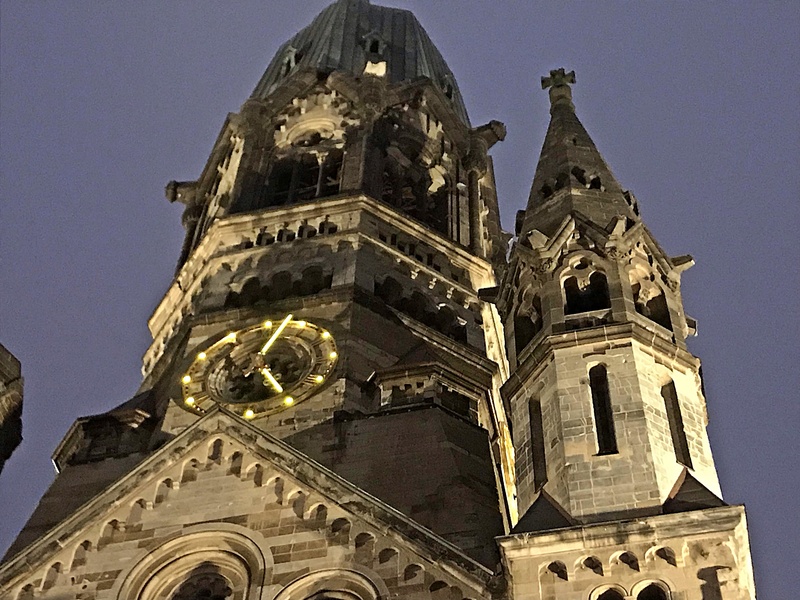 Kaiser Wilhelm Memorial Church is a Berlin landmark and “memorial against war and destruction”. The stark remains of the original church are like a tube encased in stained-glass windows. The acoustics were fantastic, and it was a great venue for Threads of Estonia. The Haus der Berliner Festspiele, known as the “Theater of the Free People’s Stage,” opened in 1963. In 1999 it was sold to an investor and in 2001 reopened as the “Haus der Berliner Festspiele”. The large theater is used year-round as the stage for events and festivals featuring international artists of all disciplines. It’s a bustling venue! The audience was mostly German, with few foreigners in the crowd, except the French couple seated in front of me who kissed their way through the concert. Composer Maria Faust plays alto saxophone and her group consists of a tenor saxophone, piano, cello, and two double basses. The music is avant-garde and a delight for those who appreciate contemporary jazz. Award-winning Faust is described as a “phenomenon”. She grew up “under the Soviet Star in Kurressare on the Estonian island of Saaremaa”. Conducting was a part of Faust’s classic and contemporary music education. “Disarming openness and originality” characterize Faust’s many projects. Her search for the “musical expression of the elemental depths and abysses of our existence” is expressed in her recent chamber music work “Machina“. I thoroughly enjoyed the concert. The brilliant music definitely gets inside your head. Illusive composer and organ soloist Kara-Lis Coverdale is Canadian with Estonian roots. Her electronic music is unique and hard to describe – “flowing beautiful sound has never been her thing”. She played with little light except that shimmering from the stained-glass windows and didn’t appear before or after her performance. Coverdale is involved in Berlin’s MaerzMusik scene. Berlin hosts a 2019 MaerzMusik festival from March 16 to 25. The festival “combines the diverse currents within contemporary music with a contrasting panorama of renowned artists worldwide”. Coverdale has been “absorbing Nordic religious music since she was a teenager”. She’s church organist and choirmaster at the Estonian Evangelical Lutheran Church of St. John in Montreal. Coverdale is known as a “troublemaker who mixes hip-hop with the hymnals at her day job”. 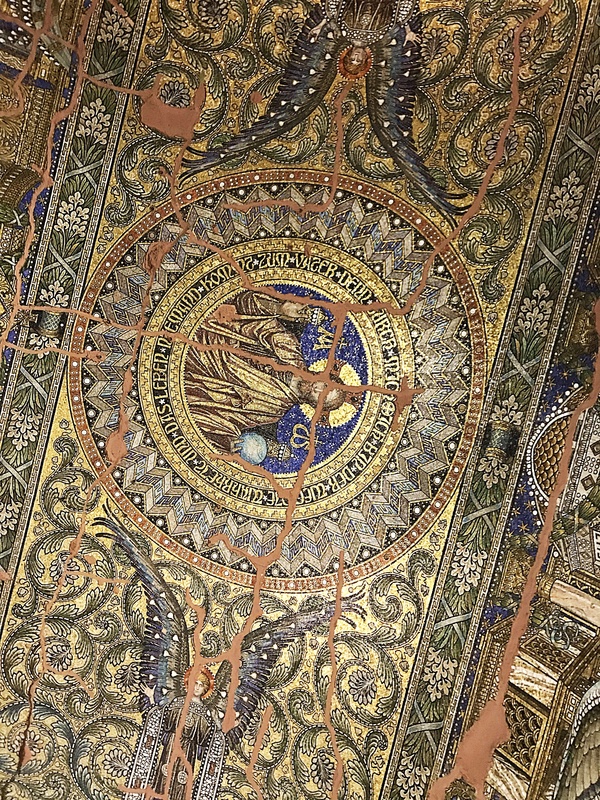 She composed the abstract piece “Extended Shadows” especially for her performance at Kaiser Wilhelm Memorial Church. This rich performance included excellent back-to-back concerts on the main stage at Haus der Berliner Festspiele. The crowd was young and enthusiastic. 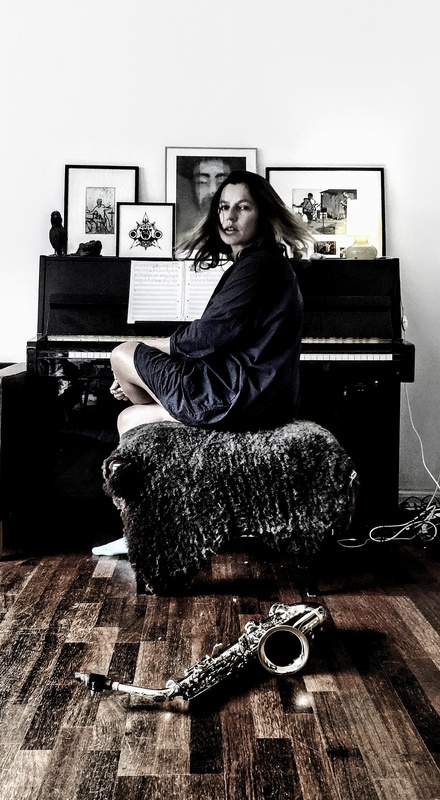 Norwegian composer, sound artist, and guitarist Kim Myhr is “concerned with creating a slowly developing, multi-layered sound cosmos that is so saturated with details that you believe you’re swimming in it” – not sure I understand that… Myhr is a “voice of Norway’s creative experimental music scene”. An active composer Myhr writes music for chamber ensembles, electroacoustic settings, and theatrical projects. His performance included electric, bass, and acoustic guitars and three percussionists. His album You | me “is a work with a continuous pulse in which everything derives from a single musical idea”. 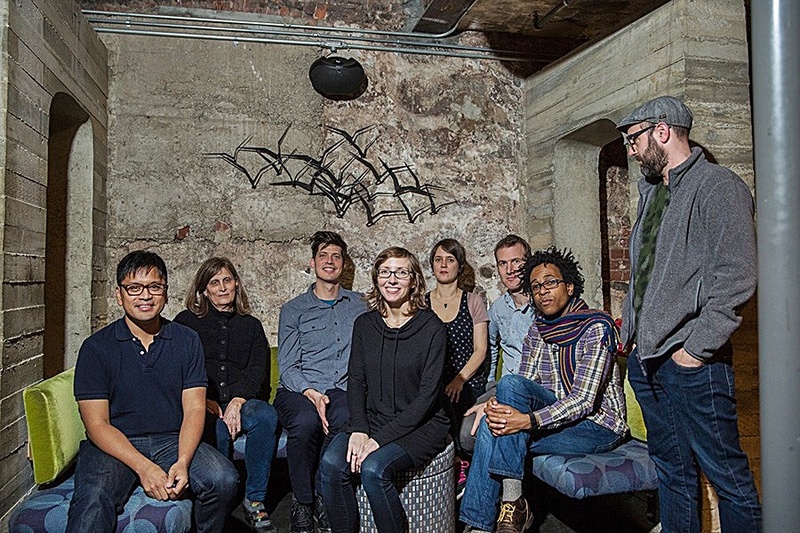 Guitarist Mary Halvorson’s Octet was the “highly anticipated culmination of her New York-based Jazzfest residence”. 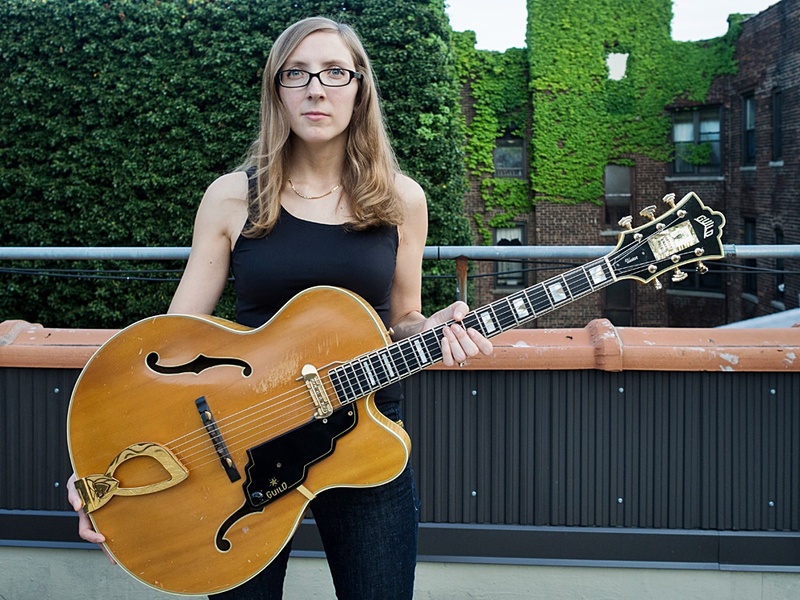 She spent two week-long residencies at New York’s legendary Village Vanguard jazz club and is one of the “most distinctive and original improvisers of her time”. Halvorson’s popular octet includes pedal steel guitar, trumpet, tenor saxophones, trombone, bass, and drums. She’s produced a phenomenal 27 albums in three years and is extremely popular in Berlin. Her album Away With You is highly praised. 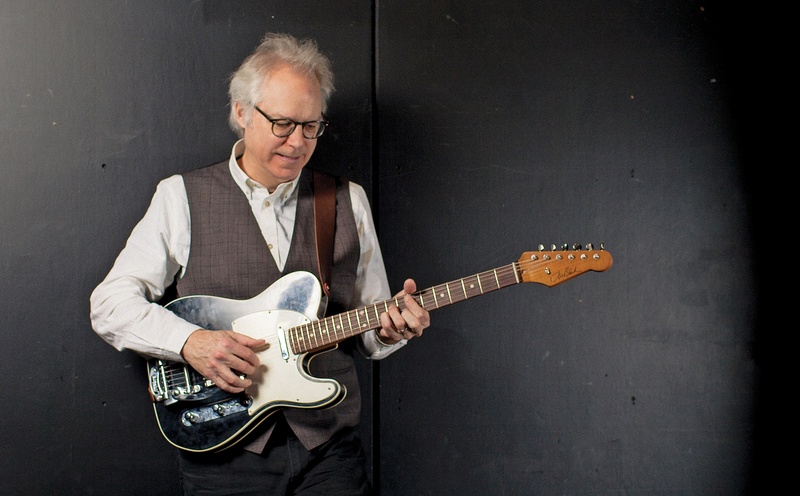 Bill Frisell has long been a favorite of mine! I love his gentle sound, a contrast to the sounds of other performers during the evening. He was popular in the Bay Area and I remember his music when I was living in San Francisco. Frisell attended renowned Berklee College of Music in Boston and lived in New York City. His distinctive, easy-to-listen-to music is sometimes described as “somewhere between Bonnie Raitt and John Zorn”. Last year Frisell produced a duo album with bassist Thomas Morgan followed by a solo album “Music Is”. He begins a tour of solo concerts here in Berlin. This entry was posted in Berlin, European Cities, Germany and tagged Adam Plutz Double Bass, Adrian Myhr, Berklee College of Music, Berlin Jazz Festival 2018, Berlin MaerzMusik, Berliner Jazztage, Bill Frisell, Contemporary European Jazz, Dave Ballou Trumpet, David Stackenas, Electroacoustic Music, Estonia, Gedächtniskirche, Guitarist Kim Myhr, Hans Hulbaekmo, Haus der Berliner Festspiele, Havrd Volden, Ida Norholm Cellist, Ingar Zach, Ingrid Laubrock Tenor Saxophone, Jacob Anderson Pianist, Jacob Garchik Trombone, Jazzfest Berlin, John Hebert Bass, Jon Irabagon Alto Saxophone, Kara-Lis Coverdale Organ Soloist Shadow Encounter, Kim Myhr, Kurressare Island of Saaremaa, Machina, Maria Faust Alto Saxophonist, Mary Halvorson, Mary Halvorson Octet, Nadine Deventer Jazzfest Berlin Curator, Ned Ferm Tenor Saxophonist, Nils Co Davidsen Double Bass, Pedal Steel Guitar, Susan Alcorn Pedal Steel Guitar, Theater of the Free People's Stage, Thomas Morgan Bassist, Threads of Estonia, Tomas Fujiwara Drums, Tony Buck, Village Vanguard, Wilhelm I First German Emperor, Wilhelm Memorial Church by suemtravels. Bookmark the permalink.